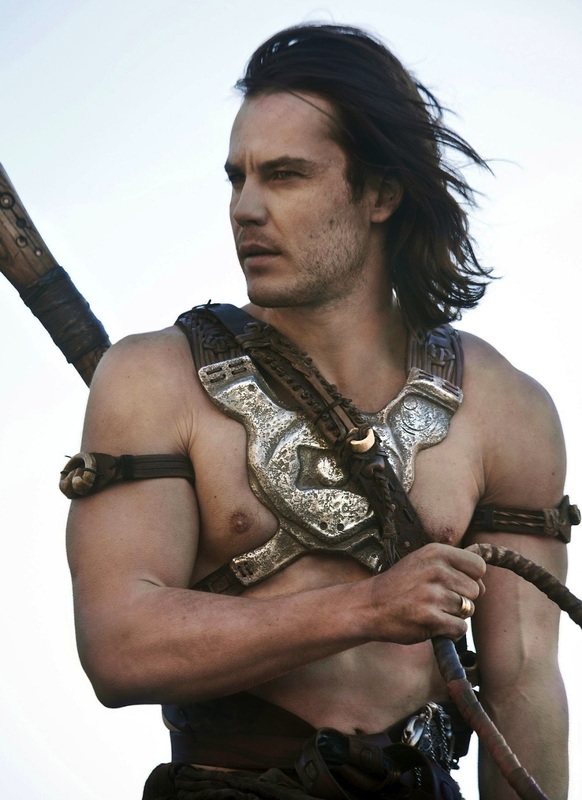 Taylor Kitsch is definitely a young male actor on the move and more than just a pretty face. Born in British Columbia. He has two older brothers and two younger half sisters, and was raised by his single mother. Originally set to become a professional hockey player before a bad knee injury ended his career. He moved to New York in 2002 after receiving an opportunity to pursue modeling and studied acting there as well. After two years, he signed with the production company. While staying in New York, Kitsch also became certified as a nutritionist and personal trainer; hence his always perfect physique. He has modeled for Diesel and Abercrombie & Fitch; and appears in the limited edition coffee table book by celebrity photographer John Russo. Taylor is best known for his starring role in the critically-acclaimed NBC series Friday Night Lights as football player Tim Riggins. He also played in The Covenant alongside other young hollywood studs Steven Strait, Sebastian Stan, Toby Hemingway, and Chace Crawford. In February 2008, he signed on to play the popular character Gambit in the X-Men franchise spinoff X-Men Origins: Wolverine, released in May 2009. In 2009, Kitsch signed up for Steven Silver's The Bang Bang Club alongside Ryan Phillipe set in South Africa and documenting the final bloody days of the apartheid. Kitsch is playing the title role in the soon to be released [March 9th] film John Carter. The film is set to show off Taylor's buffest bod ever. In April 2010 it was announced he would star in Peter Berg's Battleship, an adaptation of the Hasbro guessing game, as Naval commander Alex Hopper.